Pink and Main and Xyron will be partnering up and holding a week-long blog hop!! 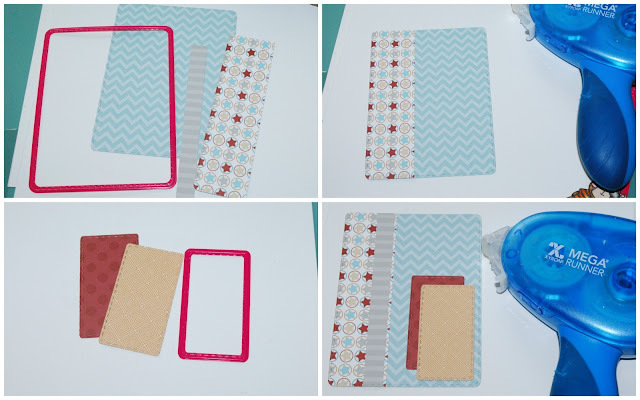 We still have tons more creative projects to show you using Pink and Main products along with Xyron adhesives! 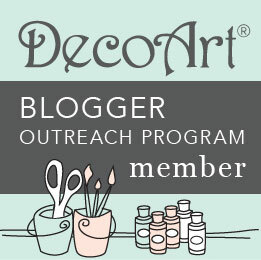 Since this is a hop, you know we have to have a little blog hop candy. 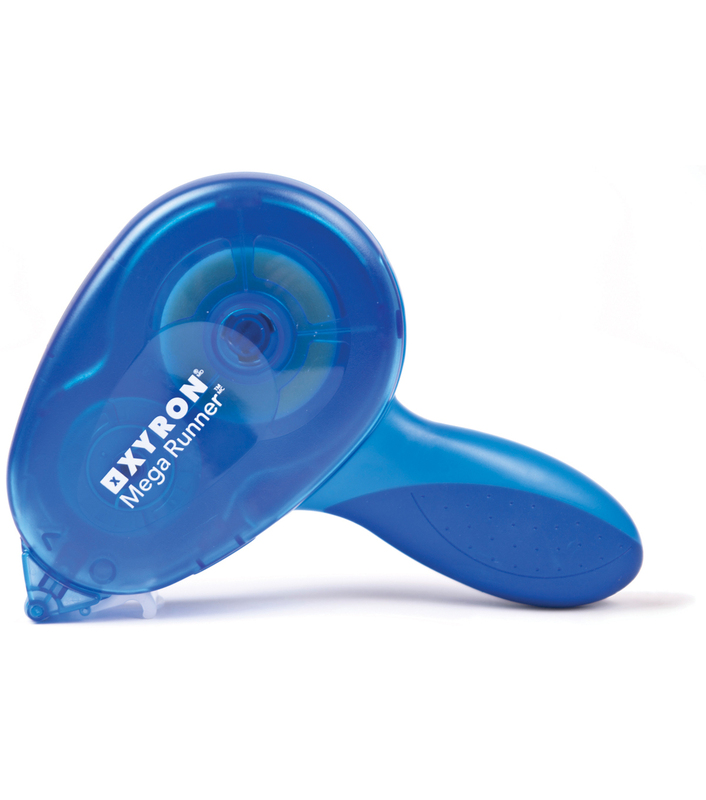 Pink and Main and Xyron are each giving away a $25 Gift Certificate to Pink and Main and a Xyron Mega Runner. Additional details for the giveaway will be posted down below. 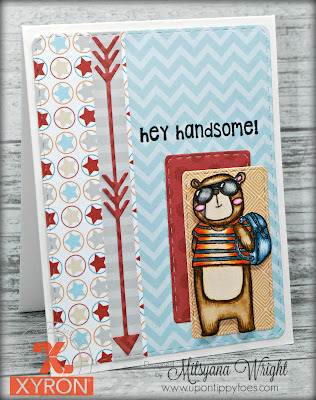 Today, I wanted to create a fun card for the cool little dude in your life because let's face it, looking good is hard work! To build my card, I used the largest rectangle from the Stitched Rounded Rectangle Dies set from the Chevron paper. I cut another rectangle from the stars paper and trimmed it to 1 1/2" portion. Then cut a 1/2" strip from the gray striped paper. I layered the pieces together using my Xyron Mega Runner. Then die cut 2 smaller rectangles and mounted them slightly off of one another. I love these fun border Directional Border Dies that I thought looked great in the narrow strip. Cutting it out in that bold red paper really makes it pop against the gray. I used the bear with the backpack image to stamp onto mixed media paper. I colored the little guy, then hand cut him out, and mounted onto the card front using foam adhesive. Then finally, stamped my sentiment using black ink. 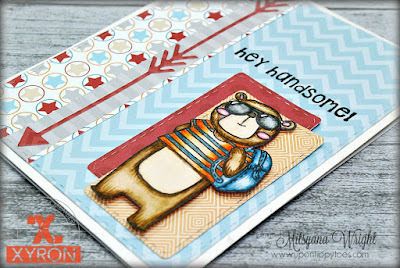 What little guy wouldn't want a card as cool as this? Don't forget to enter to win the Pink and Main $25 Gift Certificate and a Mega Runner Prize Package! 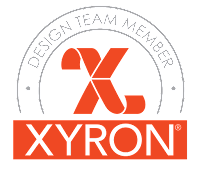 All you have to do is comment on any or all the featured posts on Xyron's page all week. The giveaway above is in no way sponsored or affiliated with Facebook, Instagram, Twitter, or any of their subsidiaries. Darling card! 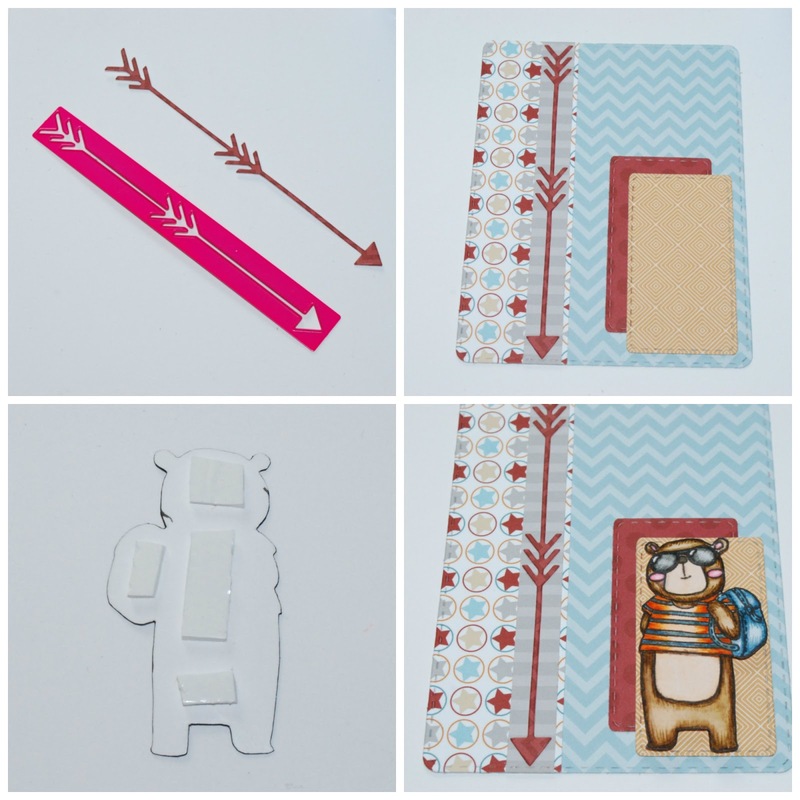 Love that bear and the papers you used! The layering looks great, and fun details too! Thank you so much, Denise!! So glad you like it! Such an adorable project! Thanks for the steb-by-step, too. Love the arrow die. That really is a great touch on this card. Thank you, Carla!! 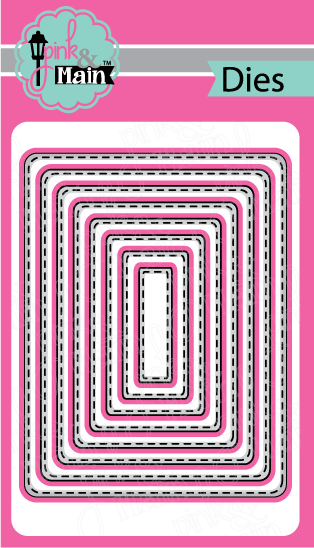 I know that arrow is awesome... in fact, all the border dies in that set are all pretty awesome!! Super love them all!! Such a cute card! I really like the combination of papers with the bear. Thank you!! Yes!! Such a dude card, right?!! Such a lovely card!!! Beautiful layout!! !